Soraya is the founder of Trailmix Ventures, a venture investment firm focused on the future of living well. 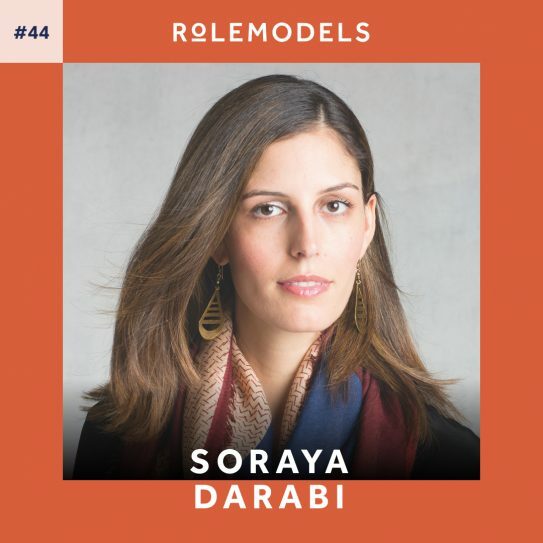 Soraya began her career as manager of Digital Partnerships and Social Media at The New York Times, where she positioned the global news leader on social networks such as Facebook, YouTube, Twitter, partnered with startups large and small, and established award winning campaigns. She went on to co-found the application Foodspotting, named by Apple and Wired Magazine as an “App of the Year” (acquired by OpenTable) and later Zady, a mission-driven brand described often as “The Whole Foods of fashion”. Today, Soraya is a General Partner and founder of Trailmix Ventures, an early-stage investment firm focused on the future of living well. TMV invests in services and products that elevate our physical, mental, and financial well-being, next-generation marketplaces, in design-driven technologies and brands born online. In this episode, we speak with Soraya about the future of wellbeing as she introduces some of the companies she works with such as The Wing or Parsley Health who are actively creating that future. The highs and lows of being a founder, what she looks for in future investments and why we need to rethink the startup work culture to make more time for self care. Soraya’s personal story (which she hasn’t told before) about how she learned to become a great listener and conversationalist. And finally, how Soraya makes time to practice self care.